Indonesians topped the list of healthcare tourists to Malaysia last year, making up 56.76% of the foreigners seeking treatment at private hospitals here. Health Minister Datuk Seri Dr S. Subramaniam said 437,157 Indonesians came to Malaysia last year, among the total of 770,134 healthcare tourists. 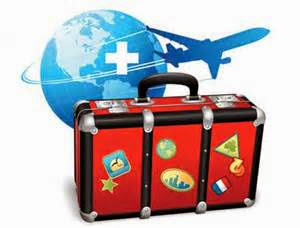 The second largest group of healthcare travellers were from India (27,146), followed by Japan (22,294) and China (21,010). Other foreign patients included those from Libya (18,912), United Kingdom (17,033), Australia (13,383), the United States (12,349), Bangladesh (11,911) and the Philippines (10,560). There are, up to September 2014, 95 foreign medical specialists serving in Malaysia of which 18 are women. The Specialists include 14 opthalmologists, 11 O&Gs, 14 General Surgeons and others specialising in orthopaedics, internal medicine and paediatrics. Budget airline, NOT really Budget !